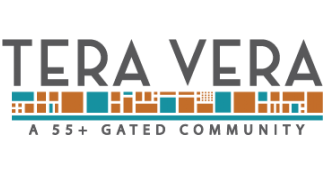 Tera Vera, TLC Properties’ 55+ community, offers residents access to the latest in Smart House and Wellness Technology. These advancements are easy to use and offer peace of mind for residents and their families that they will be looked after even while living independently as they age. Smart House technologies allow individuals to control certain electronic devices remotely through a mobile application or website. These features are optional and can be adjusted manually as well. 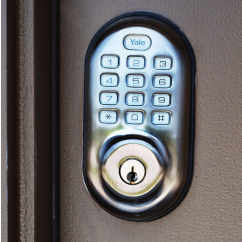 Tera Vera offers Smart House locks which places a keypad on the front door and interior garage door for keyless entries if desired. For more information on Smart House features, download the resource guide. Wellness Technology (a Wellness System) helps people stay in their home as they age by alerting others of changes in routines. A Wellness System is a monitoring system that allows family members to keep aging parents in their home for one-tenth of the cost of assisted living. Plus, families can monitor their parent’s activity and safety from a smartphone and other internet-capable devices by choosing how notifications are received (text, email or automated phone messages). The system can also be professionally monitored by medically trained operators who can place a call to 911 and to family members. This feature is completely optional for Tera Vera residents for an additional cost. TLC Properties is committed to providing cutting edge technology options for senior residents that makes them comfortable living independently as long as they are able. To learn about how Wellness Technology works, download the resource guide here.